I’m going straight to the point. The safest drivers on the UK are motorcyclists. Not cars. Neither man nor woman, or elderly. But riders. Why wouldn’t they, when everytime they see a lorry they pray that they’re life be spared. A team of motor insurer specialists launched a road-confession scheme rightly named ‘have you ever’. And no matter how counter-intuitive it might be, motorcyclists topped the rank. ‘Have you ever’ questions included whether they drove above the speed limit, changed lanes without indicating, took selfies on the move — why someone would do that is beyond me –, drove under the influence of alcohol and so on. They did so while remaining anonymous, which is good. Only to get arrested shortly after the confession. Kidding. According to the results van drivers are the worst drivers in UK. Women van drivers to be exact. Because who drives a van and says, “I am at the peak of my prime.” People who drive vans have already given up on life and their only means of adventure is a trip to the police station. Ninety-five percent of car drivers admitted to driving above the speed limit. It is because drivers have a higher level of intelligence than those who are in government. It is why the government has posted a speed limit of only 20mph in some areas, which is idiotic. Why post a speed limit if a road is always jammed up? So how in the name of all that’s holy can you overtake a lorry travelling at 15mph if you don’t speed up? You will end up in another lorry’s face. Relatively, just five percent observed speed limits — mostly people from the government. 43% said they drive over the speed limit ‘quite often’ and about 13% they speed everytime — petrol heads. 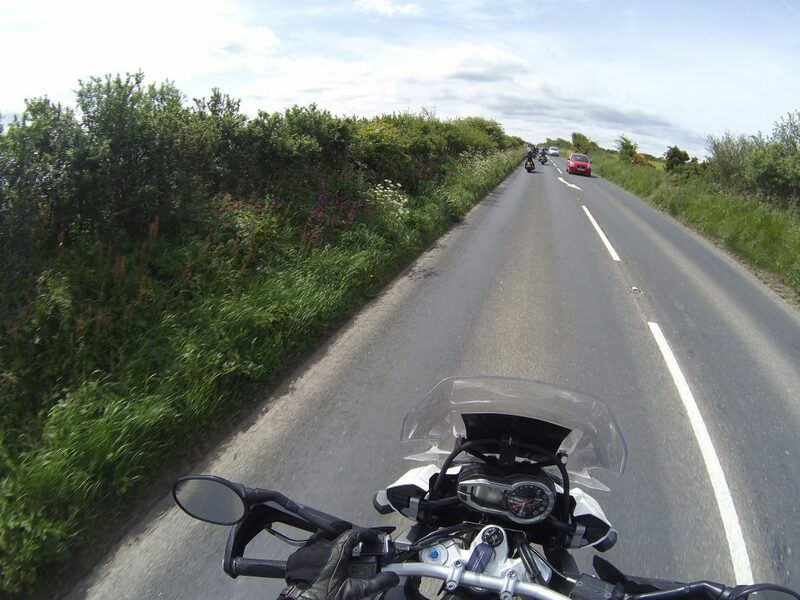 The survey also showed that 91% of motorcyclists go faster than the prescribed limit. All this while being the safest motorists, because if they’re not careful they will end up under a lorry. Phone usage is also the lowest on motorcyclists among others. However, we will not be discussing this because no matter what you drive, using a phone while on the road is dangerous. And illegal. Heck, even someone crossing the street dies because of texting while walking. Van drivers are the worst offenders when clipping another car. It is hard to see out of a van so that is justified. Nineteen percent of motorcyclists admitted to the same crime. The survey also reveals that riders are least likely to drink and, erm, ride. More than half of lorry and van drivers, 59% and 57%, respectively confessed to DUI. Because as we’ve established, they have given up on life. Men between the ages 35-54 are the biggest drunkards. What lesson can we glean on this? That we should be all using dash cams in case of a clash to prove that you are a law-abiding citizen. Or if you just want to take some selfies.